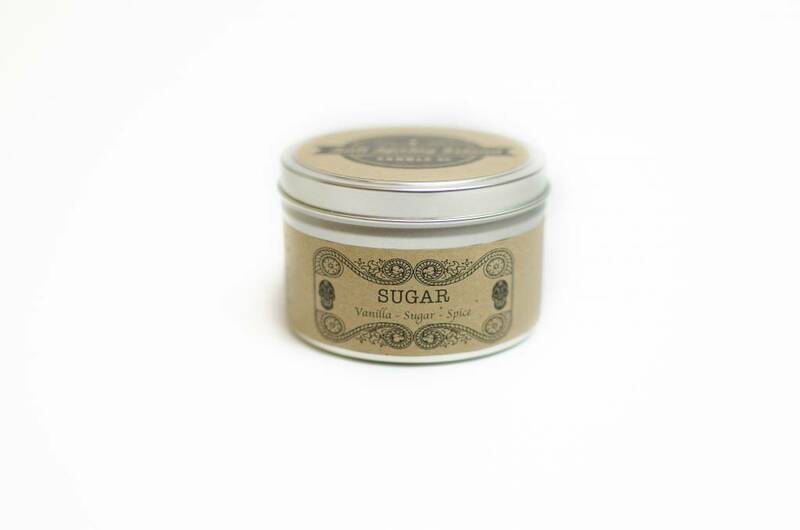 Sugar 8oz candle by Salt Spring Candle Co.
Calavera de azucar, also known as sugar skulls, are made and eaten on Dia de los Muertos, the Day of the Dead. That's how we think sugar should be consumed. Colourfully and artistically ... with a touch of bad-assery. 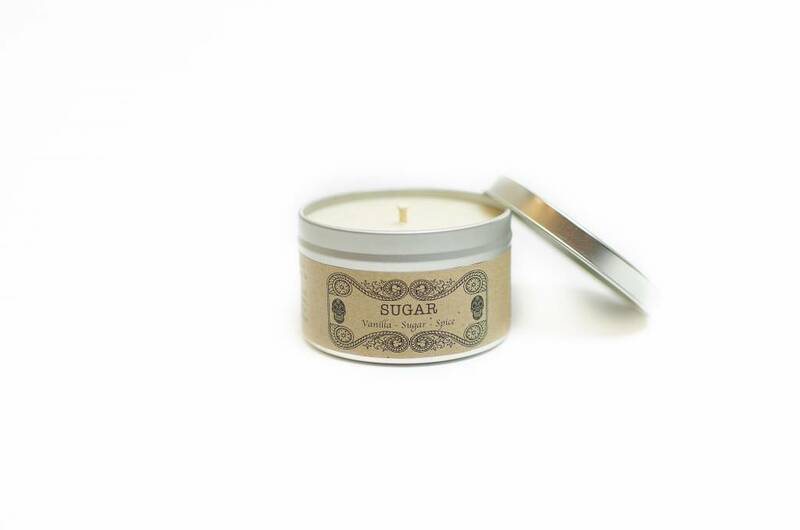 Sweet, but not goody two-shoes sweet, this candle smells like candy, pure and simple. For lovers of confectionary delights and fans of macabre deliciousness. Please burn responsibly. This 8oz. candle is handmade from 100% GMO free soy wax by the Salt Spring Candle Co., on Salt Spring Island, BC.